If you go to atlastalent.com, you’ll see my name listed among the other signed voiceover talents there. 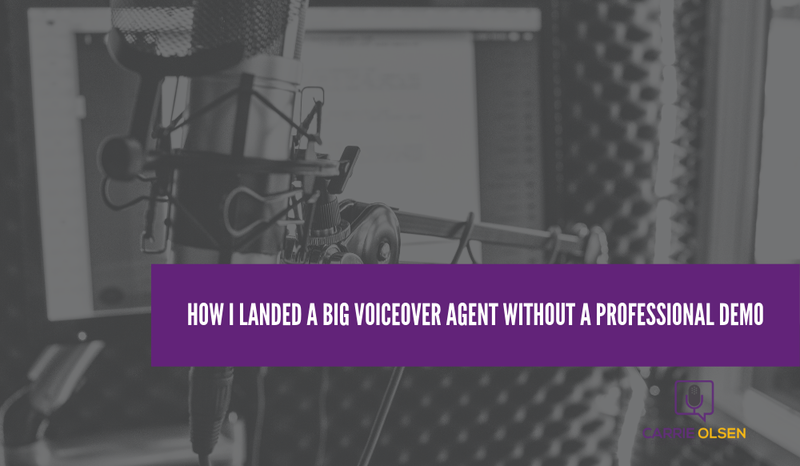 Click my demo, and you’ll hear the sixty or so seconds that prompted one of the most well-known voiceover agents in the country to pick up his phone and call me to ask me to join his roster. The kicker? I didn’t pay a dime for my voiceover demo. Now, this definitely falls into the “Do as I say and not as I do” category. The only advice I have ever heard for having a demo produced is to have it done professionally. 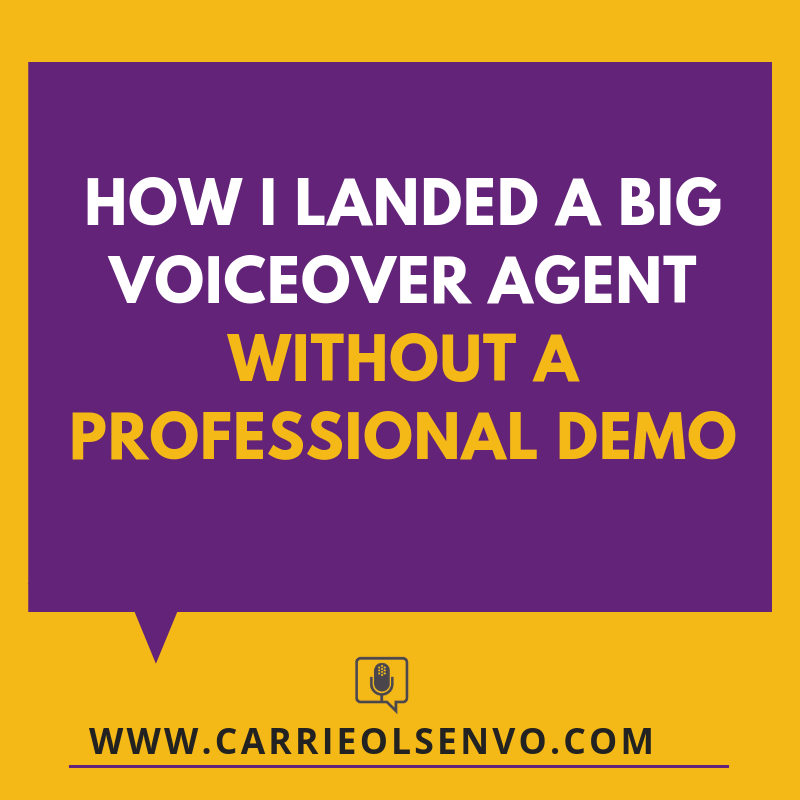 I’ve heard over and over again that agents and clients can “sniff out” a homemade demo. But clearly, they don’t always turn up their nose at the scent. I said I didn’t pay a dime for my demo. That’s not entirely true. My amazing coach, Alyson Steel, was coaching me over Skype for many of the reads that went into my demo. And the ones that she wasn’t directing me for, she at least advised as to which parts of which spots should appear in which order on the reel. So I paid for her time, but I did all the recording, mixing and producing myself. Many of the spots were from actual jobs that I did, so I was able to just drop them in with the music and sound effects added by the client. But even then, most of those jobs were recorded in my home studio (aka spare bedroom). If you’re wondering if you really have to dish out the cash to have a professional demo produced, I would advise you to shop around to see what kind of deals and service you can get. And then pick a reputable coach/engineer/producer to help you out. However, because of my personal experience, I have to say that it is possible to record your own demo and for it to get you hired. But I’ve never heard a similar story from another voice actor who wasn’t also an audio engineer. But for those of you who would like the play-by-play, here’s how I did it. The months leading up to making my demo, I did a lot of voiceover work that varied in style. 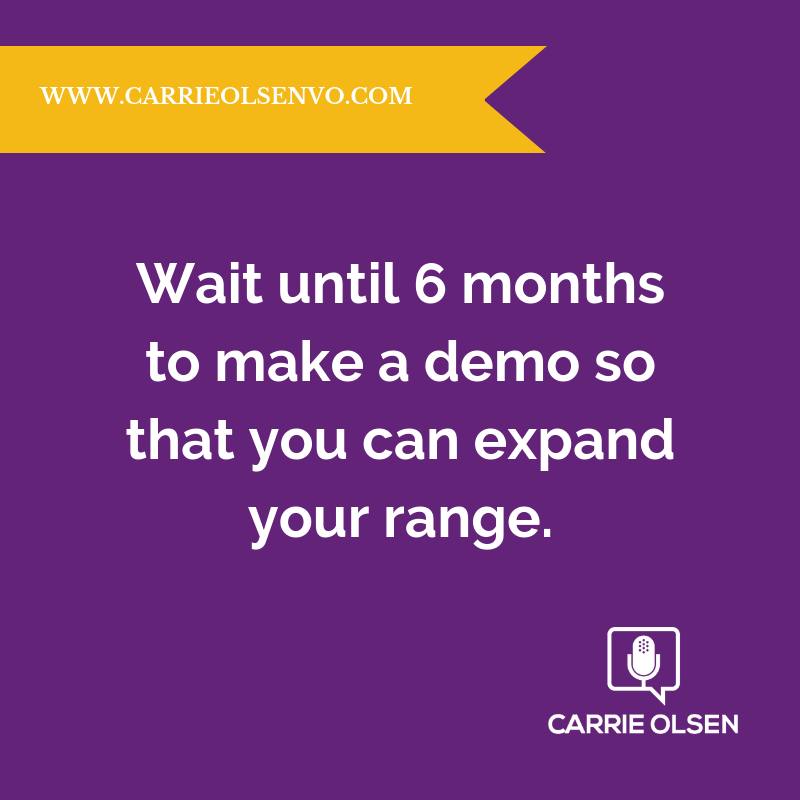 My coach advised me to wait at least six months before making a demo so that I could expand my range. By the time I was ready to put my demo together, I had voiced kids and middle aged spots, high sell and conversational, from teen to mom, urban to girl-next-door. I consulted with my coach on which spots were my best and also showed my range. Alyson helped me to sift through all of my work to find the spots that best represented what I have to offer. She then helped me narrow it down to which part of which spots to include in the demo, since you only get a couple of seconds for each spot. Then, once I put together a draft, she listened to it over and over again and helped me to get the order of the spots just right. I got music. There are several places where you can get royalty-free music that you can use in your demos. One of my favorites is epidemicsound.com. Voices.com also has a few free tracks that you can use in your demos and work as well. I arranged all of the spots and music together using Adobe Audition. I had been using Audition for my work, and the multi-track feature wasn’t terribly difficult to learn. I got feedback from others. I had my husband listen to the demo — a lot. But the ultimate feedback I got came from step 6. Once Alyson, my husband and I all felt like the demo was ready, I started shopping it around to agents. And judging from the response I got, they liked it. There really aren’t that many financial barriers to entry for VO. But a good demo is an absolute must. So, unless you’re an engineering guru, work with a professional to help you put your demo together. Maybe you don’t have to outsource the whole thing, but make sure you have a team of people you know and trust who can help with various aspects of the process, like directing, mixing and advising. And make sure you have experienced ears who can provide you honest feedback. When should you make a demo? What is it for? Get the highlights in this guide.